The files we require include the header template.html and the home page template home.template.html. The header template can be found in /httpdocs/assets/themes/skeletal/templates/headers/template.html . The home page template can be found in /httpdocs/assets/themes/skeletal/templates/cms/home.template.html If using a different template, go into that template instead of the 'skeletal' template. 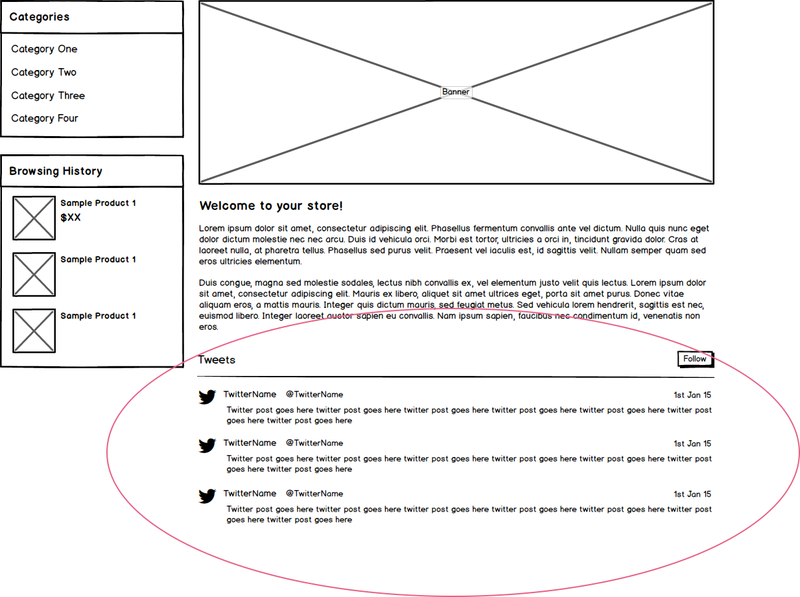 Now the Twitter feed will be displayed on the homepage.